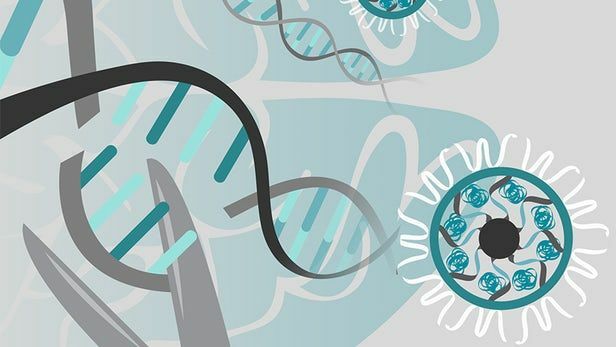 A remarkable new study has successfully used the CRISPR-Cas9 gene editing technique to edit a specific gene in mice engineered to have fragile X syndrome (FXS), a single-gene disorder often related to autism. The single gene edit in the live mice resulted in significant improvements in repetitive and obsessive behaviors, making this the first time gene editing has been used to effectively target behavioral symptoms related to autism spectrum disorder (ASD). FXS is a genetic disorder associated with intellectual disability, seizures and exaggerated repetitive behavior. Previous studies have shown that the repetitive behaviors associated with FXS are related to a specific excitatory receptor in the brain that, when dysregulated, causes exaggerated signaling between cells. The CRISPR technique homes in on the gene that controls that excitatory receptor, the metabotropic glutamate receptor 5 (mGluR5), and essentially disables it, dampening the excessive signaling the corresponds with repetitive behaviors. In mice treated with the new system, obsessive digging behavior was reduced by 30 percent and repetitive leaping actions dropped by 70 percent.